MainAll NewsInside IsraelAG okays plan to save Netiv Avot. But will it be enough? Attorney General authorizes plan to retroactively legalize 6 houses in embattled Gush Etzion neighborhood as demolitions loom. 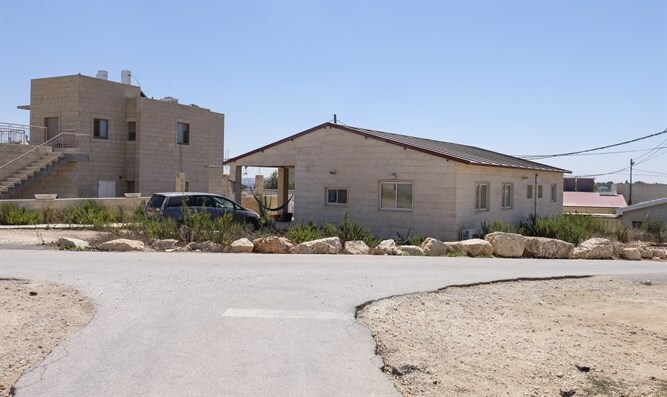 Attorney General Avichai Mandelblit offered a ray of hope to six homes in the embattled Netiv Avot neighborhood in Gush Etzion which are slated for demolition. Netiv Avot, a neighborhood in the town of Elazar in Gush Etzion, south of Jerusalem, is slated for demolition, after the Supreme Court ordered the state to evacuate the community. In 2016, the Supreme Court ordered that 17 buildings in Netiv Avot be demolished, arguing that the homes were built “without any zoning permit” and are located in part on land claimed by private Arab owners. Two of the buildings are slated for demolition before the end of the year, while the remaining 15 are to be evacuated by March 2018. Critics of the court’s ruling have challenged the claims of private ownership, saying they have not been verified or officially registered. Representatives of the community have offered to remove the narrow portions of six houses resting on the disputed land – an offer later taken up by the state but refused by the Supreme Court, which ruled that all 17 buildings must be completely demolished. Despite the Supreme Court’s refusal to accept the compromise for the six homes in question, on Tuesday, Attorney General Mandeblit authorized a plan to avoid a full demolition of the homes, requiring only the removal of the small slivers of each building which rests on the contested land. In some cases, as little as one or two feet of each house rests on the disputed plots of land. Under the proposed compromise deal, residents will remove the portions of their homes which rest on the contested land, and in return will be given temporary retroactive building permits, circumventing the need for a full demolition. Supporters of the community hope the new arrangement will persuade the court to nix the demolition orders and allow the government to normalize the neighborhood’s status. In its prior rejection of a similar proposal, the court ruled that even with the removal of the disputed portions of the homes, the buildings lacked any permits and were in violation of the law.